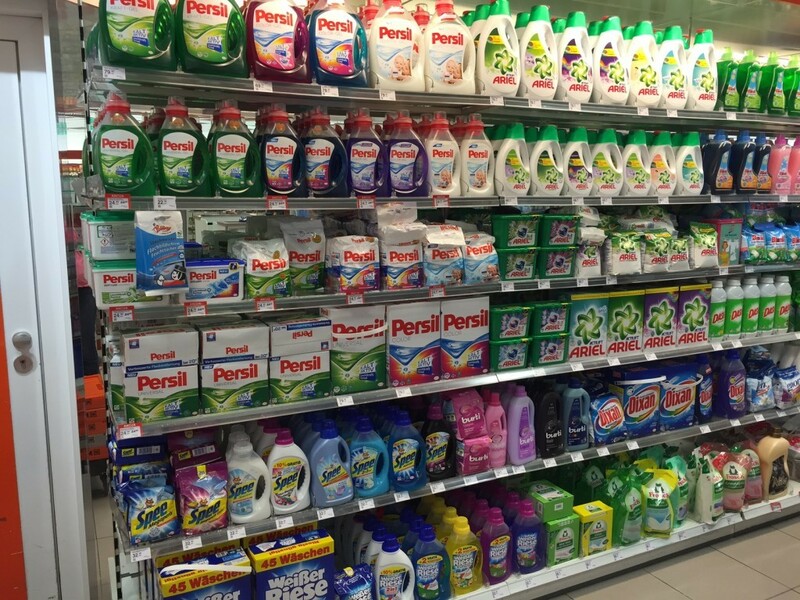 Sorry, not one of those detergents in the picture (I’ve tried them all) compares with arm & hammer or Tide. It makes me weep when my family and I go back to the States and see how much more beautiful all our clothes are over there. I have the exact opposite experience – Tide won’t even touch the kinds of stains that Euro detergents take out with zero pretreating. Could be that you need to adjust to the difference in water – I know many parts of Europe have extremely hard water vs water generally being softer in the US.